Have you noticed an unusual aching in your jaw? Or pain while chewing? Unexplained headaches or swollen gum? Or a throbbing toothache? 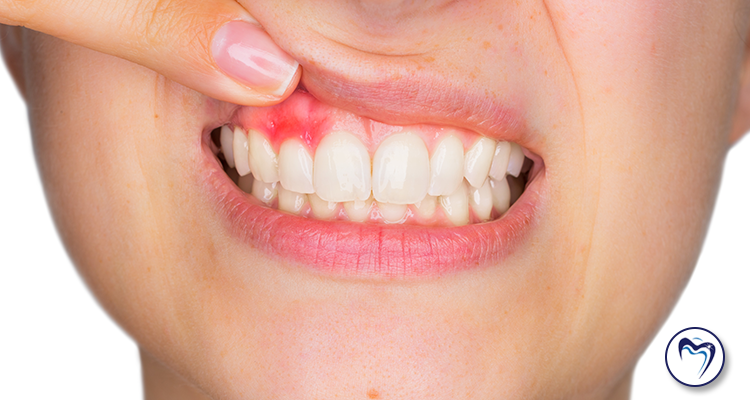 Chances are you may have an abscessed tooth. However, these are only a few symptoms that can occur. If left untreated an abscessed tooth can develop into major health issues. It is best to see your dentist right away to seek treatment. He or she can recognize an abscessed tooth, causes, symptoms, and provide appropriate treatment. When the pulp, also known as the soft tissue inside the root canal of a tooth dies, it may become inflamed. If the issue goes unnoticed, it may result in an infection in or around the root of the tooth. The tricky thing is that it may or may not be painful. Therefore the ongoing problem may fester. An abscess will then form, creating a pocket of pus that forms around the root of the infected tooth. Additionally, anyone, from children to the elderly, can get one. An abscess is especially problematic if left alone. The infection can spread beyond your jaw into your neck, head, even to other body parts. You may also experience one or more abscess that travels, but most likely it is related to a single tooth. If you have an abscessed tooth, you may experience any one or combination of the following symptoms. Additionally, you may notice a pimple-like bump on your gum. If you press it and liquid oozes out, it is almost positive that you have an abscessed tooth. Antibiotics: to fight the infection, especially if it has spread to other parts of your body. However, these medicines alone will not cure the abscess. Extraction: Used as a last resort if the tooth cannot be saved. Root Canal: The most common treatment, and the best way to save the tooth. Surgery: This process drains a periodontal abscess. Please note: if your abscess ruptures, the pain will subside, but you’ll need immediate treatment from a dentist or endodontist. While there is no guarantee that you can prevent any disease or dental issue, you can take specific steps to ensure that your teeth and gums are healthy. Make a dentist appointment as soon as possible if you feel you have a loose or cracked tooth. Limit sugary foods and drinks. Sweets and sodas lead to cavities, and excess tooth decay, which causes an abscess. Have you experienced unexplained tooth aches and gum tenderness? Do you feel you have a loose or possibly cracked tooth? Are your gum especially tender or do you see a bubble on your gum? You may have an abscessed tooth, and it needs immediate attention! Contact Denise Dental to schedule an appointment today! Our skilled and knowledgeable team will provide you with answers and the peace of mind that your issue will be attended to swiftly and safely. Do Old Silver Amalgam Fillings Need to Be Replaced?